You want to make your partner a special marriage proposal? Then you fly by helicopter to one of your preferred places or let us advise you. Your proposal is an unforgettable experience and celebrate a unique engagement! With this offer we provide a marriage proposal package with all inclusive. 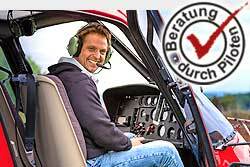 Flight exclusively in Eurocopter AS350 Obersöllbach the heliport near Heilbronn to the castle Staufeneck - Landing next to the Castle - flight time 20 min. - on request car is driven to this place. The pick-up the next day by helicopter on request.